The " pearl of the Basque Coast "
Biarritz was once a whaling city inhabited by a few hundred people. It was described in 1843 by Victor Hugo as a “charming and beautiful place” however at the same time he shared his grave fear… “that it would become fashionable”. Unfortunately for him, the fear he had forged became a reality. Following the construction of the palace of Eugénie de Montijo, wife of Napoleon III in 1854, many kings and queens from all over Europe came to Biarritz to visit the couple. Among them, some Russian personalities, such as Bismark, arrived in Biarritz to create an understanding between Russian and French politicians. Although the population of Biarritz grew steadily, reaching as many as 12,000 inhabitants by 1900, so too did the Russian population. Due to the Franco-Russian alliance at this time, around a quarter of the population in Biarritz originated from Russia. Today, Biarritz preserves much of the monuments of this era clearly displayed with its Orthodox church near the Grande Plage. In 1915, Gabrielle Chanel, attracted by the worldly life and the affluence of her clients fleeing the war, installed her first couture house in the city of Biarritz. The address, 2 avenue Edouard VII, perfectly situated near the Grande Plage and not far from the Casino. Tourism has been at the heart of the Biarritz story particularly during the roaring twenties where foreigners continued their escapes to the coast for the holidays. Biarritz became the city of excess and eccentricity, welcoming many celebrities of the time like Charlie Chaplin, Pablo Picasso and Winston Churchill. The crisis of 1929 impacted the amount of visitors to Biarritz however during the thirties and forties tourism fluctuated with some choosing to celebrate the glorious thirties with extravagant holidays in the still sparkling town of Biarritz yet others being scared off by the German’s planned construction of the Atlantic wall. The end of the war saw brighter days and will be forever synonymous with renewal for the city and the tourism, with families once again venturing on mass for a summer holiday in the little seaside town of Biarritz. In the 1950s, the surfers arrived in Biarritz thanks to the American screenwriter Peter Viertel who brought a surfboard from the United States to surf the waves of Biarritz between his film shootings. To the delight of local beach lovers, Viertel left his board in Biarritz and today, Biarritz remains the European surfing capital and is often referred to as “Little California”. Biarritz has always been a popular destination for tourists, with foreigners coming from all over the world to learn more of the rich history, admire the scenery and surf the surf spots that this coastal city offers. Biarritz is a French commune located in the extreme south-west of France, on the edge of the Atlantic Ocean and less than 25 kilometers from the Spanish border. It is part of the Basque province of Labourd. The Basque Country is a territory of tradition that stretches from the north of Spain to the south-west of France, bordered by the Atlantic coast. How to get to Biarritz? The airport is located only 3 kilometers from the city, and is served by a dozen airlines, including low-cost carriers. It is then possible to take a taxi or rent a car directly at the airport. There are also buses that run from the airport to the city center every 20 minutes for a simple fee of 1 euro. For more information on bus schedules, please visit www.chronoplus.eu. For lovers of architecture and history, we advise you to take a tour of the hotel du palais. Regarded as one of the most beautiful palaces in France, this 5-star hotel is classified as a historic monument. Built in 1854 by the couple Napoleon III and his wife Eugénie de Montijo, the villa was transformed into a casino, then partially burnt down in 1903 and has since been rebuilt to all it’s former glory. If one looks from the sky, the hotel adopts a form of an E in reference to the Empress Eugenie. The Virgin on the Rock brings us back to the time when Biarritz was known for its whaling, the virgin had been erected on the rock to safely guide the fishermen back to port. The place offers a panoramic view of the coast, with the Pyrenees to the south and the lighthouse of Biarritz to the North. A footbridge was built by Gustave Eiffel that replaced the original wooden brige that was initially put in place by Napoleon III. Located just above the fishermen’s port is the church of Saint Eugénie, a magnificent neo-Gothic church built in 1898 with magnificent stained glass windows. Named after the wife of Napoleon III, the Empress Eugénie de Montijo it’s crypt houses the tomb of the parish priest Gaston Larre, who was the first parish priest in 1884. The church also playd host to numerous art exhibitions in the city. L’Hôtel au Bon Coin: Just a 7-minute walk from the Grande Plage, the Hotel au Bon Coin offers comfortable rooms and a remarkable service from around 100 € per night. Carlina Lodge: What could be better than being awakened by the sound of the waves? Being located on the Côte des Basques, this is what awaits you if you choose the Carlina Lodge. You can have one night facing the ocean from about 130 €. La Maison Garnier: A charming and simple boutique hotel in the heart of Gambetta. From 116 € per night. If you are looking for a luxury apartment, ideally located in Biarritz with a concierge service worthy of the biggest hotels, you will have to contact Grégoire, founder of the keyweek seasonal rental agency. For a charming apartment in Biarritz, we advise you to call Sophia, our Swedish friend of biarritzliving.com. It offers apartments decorated in its own way (clean Scandinavian style), always located in nice places in and around Biarritz. Mathieu, local figure of the southern districts of Biarritz offers you small apartments within his residence ideally placed in the Beaurivage district of Biarritz. You can enjoy surfing packages with accommodation and valuable tips on things to do and see in Biarritz. 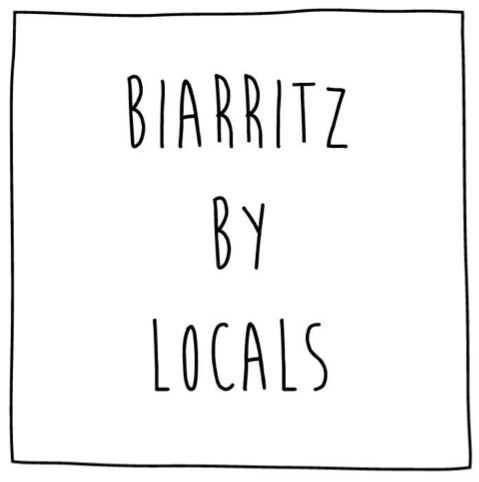 Where to eat in Biarritz? 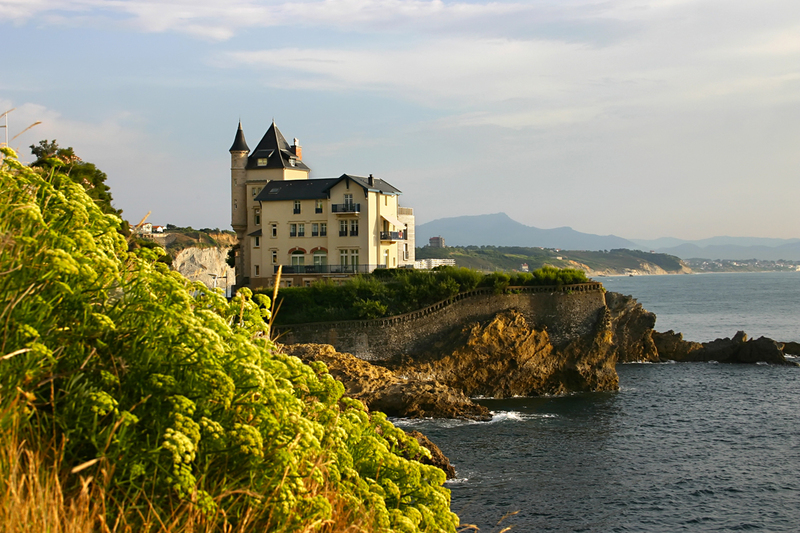 Biarritz is renowned for its Basque specialties and gastronomy. We have made a selection of the best restaurants in the city, for whatever your budget and tastes may be. – La Tantina de Burgos: Spanish restaurant with Basque specialties. – Le Bar Jean: Located next to Les Halles, the Bar Jean is a well known spot in Biarritz. Offering tapas as traditional dishes, it has been the meeting place of Biarrots since the 1930s. – La Table Basque: This restaurant, located not far from the Grande Plage, will serve you dishes of the region in a typical decoration, surrounded by woodwork adorned with peppers of Espelette. Where to drink in Biarritz? There are an abundance of places to have a drink in Biarritz and these are some of our local favorites. – Bar Jean: – Renowned for its restaurant and its regional specialties, Bar Jean is a bar to both start and finsh the night. Located in Les Halles, it is a must see place in Biarritz! – L’Artnoa: If you are fond of good wines or simply want to discover these exceptional French products, Artnoa opens its doors to you. Located on Rue Gambetta, come and talk to these wine specialists then sit back and enjoy something from their well thought out wine list. As we said earlier, the chronoplus bus company serves a large part of the city and at a lower cost. A ticket valid for 1 hour costs 1 €, a day pass 2 €, a ticket valid for 10 trips 8 € and a 7 days pass 11 €. This way of moving is very economical. The different lines and schedules are available for consultation at www.chronoplus.eu. If you want to move more independently, opt for car rental. Rental services are available at the airport, for a minimum of 35 € per day. Travel like the locals do and rent a scooter. This option is rather practical in a city like Biarritz where finding a place to park a car in the summer can be a little move challenging. If you prefer to move in an ecological and sporting way, you can opt for cycling. It will cost you about 20€ for the day to 60 € per week depending on the agency. Finally, there are free shuttles, timetables and routes are also available at www.chronoplus.eu. – Take a private lesson: ideal if you want to enjoy more of a 1:1 experience (link tour). For those that are ready to take to the waves with an instructor Marty Surf Delivery offers home board rental, which in addition to delivering your boards to your accommodation or surf sport of choice, will give you all the latest on surfing conditions and the different spots in the area. – The International Training Center at Ilbarritz Golf Course: The perfect place to practice. In a magnificent setting, facing the ocean, you can perfect your swing, bunker shots and putting on this famous 9 hole golf course. All finished off with a drink at the club house overlooking the Basque coast. – Golf du lighthouse: Located in downtown Biarritz, the lighthouse golf course is the oldest in Biarritz (built in 1888), whether it is 9-holes or a full 18-hole round you are looking for this is a beautifully designed course and very easy to get to. The Basque pelota is an integral part of the culture of the Basque Country and Biarritz, it is played morning, noon and evening both indoors and outdoors and by all ages. Where to Play? Elissaldia is a bar/restaurant/hotel in the main square of the small village of Bidart. The Exposito family has been welcoming local and summer visitors for more than 70 years, this place is authentic and family friendly. Renovated a few years ago, the pediment of the park Mazon is ideal for playing cesta punta, which is a special type of Basque Pelote where a large wicker glove is used in place of the more popular racket. During the summer period, this venue often hosts fantastic cinema on the history and famous matches of Basque Pelota.